dog: a kind of additional or subsidiary Deity designed to catch the overflow and surplus of the world’s worship. 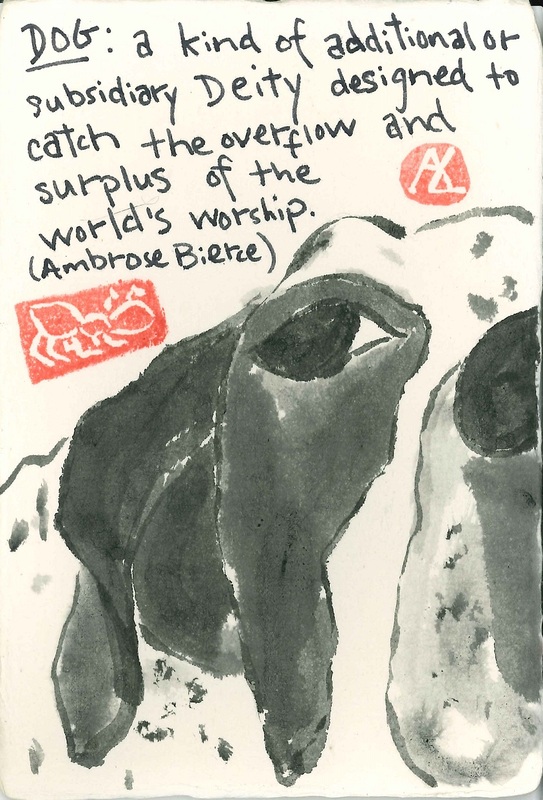 (Ambrose Bierce, The Devil’s Dictionary) Here’s an etegami I did of a friend’s dog, Giles. Giles recently passed into the great beyond, after many years of love documented on said friend’s facebook page. Giles was a good guy.